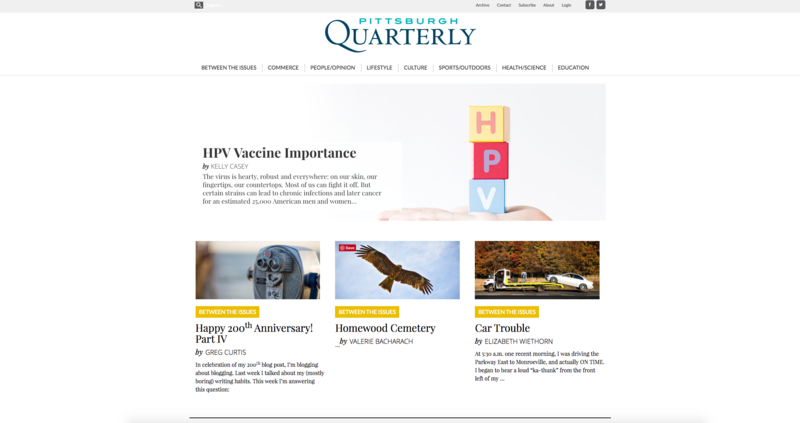 With a fresh new look and responsive design, all of the magazine’s content can now be viewed online. Our website development team was able to quickly and cost effectively create an engaging and brand consistent site. The “Between the Issues” section of the site features an original design thanks to the combined effort of Apple Box’s creative and web development team. To view more of Apple Box Studios’ web samples, visit our website!